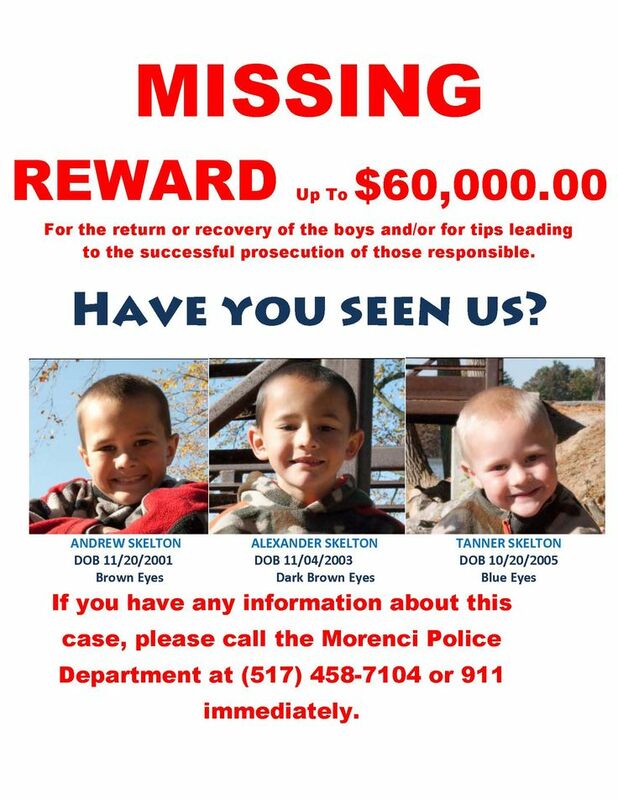 Three young boys went missing from a small town in Michigan on Black Friday, the day after Thanksgiving known annually for holiday shopping deals, in 2010. The tragic case turned a small town upside down, left its people brokenhearted and drew national attention to a case that remains unsolved. When they went missing, Andrew, the oldest of the brothers was nine, the middle boy, Alexander, was 7, and the youngest, Tanner, was just 5 years old. 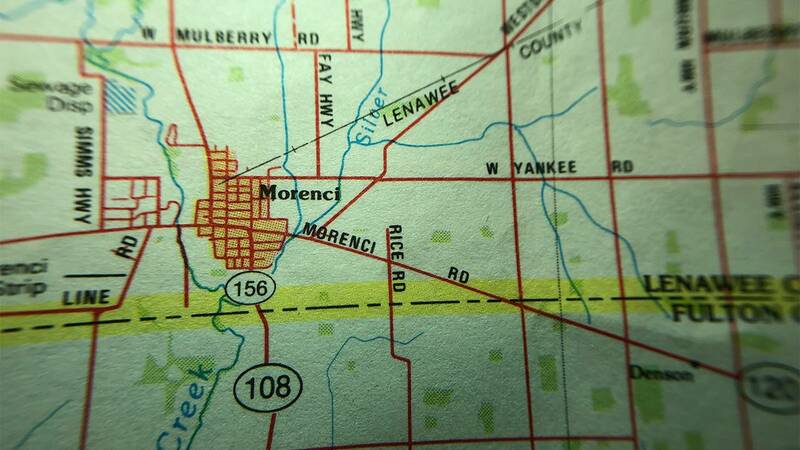 Andrew, Alexander, Tanner and their parents lived in the town of Morenci, Mich., which sits just north of the Ohio border about 70 miles southwest of Detroit and 40 miles northwest of Toledo, Ohio. Morenci’s slogan posted proudly on their website is, “Your first step into Pure Michigan.” Every summer the town puts together their annual town and country festival, everyone gets together for a carnival, fireworks, softball tournament and beer tent. It’s a celebration that allows the people from this small town to have a little fun. Everyone knows each other, or is at least aware of the faces that they see here. Main Street offers a carwash, tax service, ice cream and pizza. There’s a bowling alley, law office and even a subway. It’s quintessential Smalltown, USA. One of those, if-you-blink-you-could-miss-it towns. The high school and middle school are in the same building, and on the same plot of land at the far end is the elementary school. In 2011, 37 students made up the entire graduating class for morenci high school. So, it’s a small tight-knit community and group of kids that had no choice but to know each -- and know each other pretty well. They all had stake in one another, and even if they didn’t always get along, there were emotional ties. The boys' parents, Tanya and John lived on Congress Street in a seemingly peaceful neighborhood just a few blocks west of the town’s schools. They owned a three-bedroom home, built in the 1950s with a large open lot across the street. Just beyond that lot is a treeline, and just above that treeline, a water tower that proudly displays the town name. This was the home of the Skelton family, probably a happy home at some point. But now, it’s someone else’s home. After 10 years of marriage in September 2010, Tanya filed for divorce. There weren’t any signs of trouble until John started to push Tanya to move the family to Florida. She had no interest in that idea, but John would eventually push the issue to a breaking point. He decided that he would pick the boys up from school and drive them to Florida without Tanya — or even telling her. This set off a chain of events that led to the demise of their relationship. Eventually John would be served with papers and his actions would sway the judge to award Tanya exclusive custody. After talking things over with her lawyer, Tanya decided she should offer John visitation rights—because in the eyes of the judge it would look more favorable — so she did — and that would change the course of her life forever. Supporting materials for Shattered: Black Friday, Episode 1: Shattered.